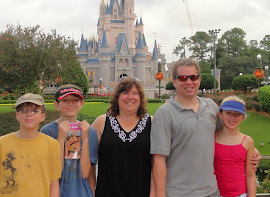 Deb 4 Disney: EPCOT WITH TODDLERS! Guests of all ages enjoying the Biergarten! Most people would agree Magic Kingdom is clearly the park at the heart of Walt Disney World. I have never had a family tell me they’d like to see Epcot, Animal Kingdom or Hollywood Studios but they’re thinking of skipping Magic Kingdom. However, despite the fact that each park offers something for everyone, I sometimes hear families ready to ditch Epcot, particularly if they are traveling with younger kids. While I agree, Epcot features many experiences adults love, I wouldn’t be so quick to dismiss an entire park. In fact, I think it is a fabulous way to spend a day with your toddler. And here is why. First, let’s start with the obvious - the attractions created with little ones in mind. The entire family is sure to love The Seas with Nemo and Friends. From traveling under the ocean in search of Nemo, to chatting it up with Crush, to enjoying the real creatures of the sea in a nearly 6 million gallon aquarium, this pavilion can definitely entertain your little one (and you!) for a good portion of the morning. Then there’s the zany world of Figment as you explore the Imagination Institute. After the ride, a fun interactive area can give toddlers and preschoolers the opportunity to get out of the stroller and stretch their legs. And just because much of an attraction may go over their heads, it doesn’t mean they won’t find it enjoyable. My children have always loved riding on the boat in Living with the Land and exploring the history of communication on Space Ship Earth. If your preschooler can sit for a longer ride they just might love seeing real live animatronic dinosaurs in Ellen’s Energy Adventure. And of course, there are various meet and greet opportunities with the lovable Disney characters. Everything I’ve listed so far could easily take you from park opening to nap time! Still want more to do? Take a break in the air conditioned Innoventions West for some fun exploration. Learn money skills with The Great Piggy Bank Adventure as well as life saving tips in Where’s the Fire? where even 5 year olds and younger can learn how to safely exit their home in case of an emergency. Just like their movies, Disney is wonderful at creating entertainment that targets all ages and the attractions at Epcot are no exception. But the attractions are not the only reasons why I love Epcot with younger guests. Epcot is big. It’s twice the size of Magic Kingdom and it boasts beautiful park like settings with gorgeous gardens and wide walkways. For me, it’s the perfect way to take it down a few notches. Strolling through the areas of Epcot pushing kids in strollers is more akin to a wonderful and relaxing day at your favorite garden park than the sensory bombardment of visiting Magic Kingdom. Several days into your trip of excitement overload, a calmer day at Epcot may be just what the mouse ordered. Besides all the delights I’ve mentioned, there are other features most little ones will love. If you are able to easily take the monorail to Epcot from the Transportation and Ticket center, it’s a great ride that circles inside the park before stopping. Also, once inside the park during the warmer months, pack a change of clothes for your little one as they will want to cool off and romp through the popjet fountains situated in the walkway between Future World and the World Showcase and near Test Track. And speaking of fountains, not only is there the grand Fountain of the Nations which sets off a wonderful display to a fantastic musical score every 15 minutes, but every kid big and small loves the antics of the leaping water fountains tucked up the stairs near Captain EO. Even with all this, I feel like I’ve only mentioned part of the list as there is still live entertainment throughout the World Showcase, a boatride featuring Donald Duck in Mexico and Kidcot Fun Stops where kids can enjoy a quiet, crafty moment around the world. Oh, and did I mention the night time firework/laser show, Illuminations for those not afraid of the big booms?? When it comes to a table service meal the youngest guests will enjoy as much as mom and dad, three great restaurants come to mind although it certainly doesn’t stop there. The Coral Reef, part of The Seas with Nemo & Friends pavilion, is a lovely restaurant with windows open to the giant aquarium providing wonderful views of ocean creatures gently swimming by. The Biergarten in Germany is great fun, with a fabulous buffet and entertainment that gets everyone involved while celebrating Oktoberfest, no matter what time of the year. And Teppan Edo in Japan where after enjoying the beautiful koi ponds outside, you can come in to an entertaining hibachi dinner, featuring the amazing cooking skills of Japanese chefs as they prepare your dinner right at your table! What more can you ask for? Delicious food and entertainment that will satisfy the whole family! Disney World is huge and you can only accomplish so much in one vacation. As you make your touring decisions, remember the reason behind the spark of Walt’s great plan… there ought to be a place where families of all ages can have fun together. Part of the magic of Disney is their ability to appeal to multiple generations at different levels. Remember this as you make your choices. There’s no doubt that Magic Kingdom is the epitome of Disney but I love Epcot as there is no other park like it in the world. It delivers a different kind of magic at perhaps a slower pace. Oh and one more feature for both you and your toddler should they manage to remain awake as you make your way out of the park. Do stop to enjoy the small patch of fiber optics… oops, I mean pixie dust that makes the walkway come to life at night. It is a classic Disney touch that no matter what your age will bring a smile to your face and, you can only see it at Epcot!